Great location, but I’m paying way too much for the quality of apartment and management. There were so many things broken or not working when I moved in and it took a month to get fixed. The sink smelled so bad that I had to keep the stoppers in it just so I wouldn’t throw up. I tried so many methods to get rid of the smell & nothing worked. It took me over 15 trips to the office and my dad calling a couple times to finally get maintenance out to my room. We hate to hear of the experience you have had with us so far. We would like the chance to make things right as soon as possible. We have recently went through a management change & customer service/satisfaction is our main goal. Please contact us at 979-268-4780 so we may discuss. Thank you for the review Treya. I'm very happy to hear that you like our new management team. We would like the chance to speak with you in regards to your apartment home & see what we can do to make your stay with us more enjoyable. If you could please stop by our office or call 979-268-4780. The location and set up of the apartment is great, but we have had a lot of difficulty with management, maintenance requests (in the past), and overall cleanliness of the complex. Residents rarely pick up after the animals when they go to the bathroom out by the pool or have an accident inside, therefore it often smells bad. In addition there has been an increase in people using marijuana to the point where it can be smelled throughout the complex. Finally with new management I have been hopeful there would be some adjustments, but I typically do not get responses or receive the feedback I am told I will at the front once speaking with a manager. Thank you for your review Lacey. There are a few items that you addressed in your review that we are currently in the process of improving. We would love to speak with you to make sure everything has been taken care of if you could contact the office at 979-268-4780 or come by the office to discuss that would be great. Hope to hear from you soon. Thank you for your review Leah. We are currently working diligently on the roof issues. Please feel free to contact us if there is a leak after we had the roofer over there the last time. We would like to make sure you are satisfied with the work completed & if there is still a problem we would like to resolve it as soon as possible. Please contact us at 979-268-4780 to discuss further. Everything is perfect to live here except the maintenance service. Response from the maintenance team is so late that we usually wait for the service over a week. Thank you for the review Hyeseung. We are currently improving the time that work orders are to be corrected along with a call back from my staff to ensure your happiness with the job preformed. Please feel free to contact us at 979-268-4780 so that we may speak to you about your maintenance request. I really like my apartment. maintenance is great. I think you should charge people a fee if they dont pick up their dog poop because the place stinks bad. Thank you for the review Jessica. We are glad you are happy with our community. We will continue to make improvements to the community to better everyone's housing needs. Thank you for your suggestions. The apartment is nice, but I really don't appreciate how thin the walls are. Also being on the first floor makes dealing with the Northgate crowd somewhat of a nuisance. But other than that it's fine. Thank you for your review Emmanuel. We love the feedback on how we can improve the property. I love pretty much everything about Warehouse, but we have so many Maintenance and Internet issues. I wish that y’all had a larger maintenance staff. Thank you for the review Sarah. We are glad you love living here at Warehouse & Factory. We are continually improving the situations such as this throughout the property. Thank you for notifying us & we appreciate your input. Overall sitsfied. Nice furniture, close location, clean community area, and free coffee and tea! But, I think this apartment should give more attention to maintenance services. Especially, urgent issues at night. Thank you for your review Eunhee. We are currently working to improve in this area with weekly call backs to ensure your satisfaction of work preformed & a new after hours service coming soon. Thank you for the feedback. The staff is very helpful and nice, but the building itself is a piece of work. It’s hard to keep the floors clean and it seems as if no one is cleaning the interior hallways. It's a very pretty place to live and in a good neighborhood. Only thing I would change is how thin the walls are. I can hear everything in the hallway from my bedroom. Move in was also too hectic. We appreciate your review Kassandra. We hate to hear of your move in experience we (the new management) would like the opportunity to make a better impression. We would love if when you get a few minutes to stop by the office so we can all meet you & put a face to the name. Not the best, but not the worst. Very in between which makes it hard to Renew. The ambience is very relaxing and nice. Apartment needs a lot of maintenance. Thank your for your review Renata. We are currently working on improving the ambiance at Warehouse & Factory. We are working through any maintenance repairs needed throughout the community. We would love for you to come by the office or give us a call at 979-268-4780 to get any suggestions that you may have & it would be extremely helpful. Overall great apartments! The units are beautiful. Although our washer has been broken for the past month or so and we have yet to get a new one. Thank you for the review Pearl. We appreciate your review but would definitely like to speak with you in regards to your washer. Please contact us at 979-268-4780 as soon as you can so we may discuss or you can stop by the office during office hours. The sooner the better since we would like to resolve your problem as soon as possible. The apartment is cool looking, but there are issues with maintenance and their ability to complete tasks in a timely fashion. They never responded to submitted requests. Thank you for the review Kyla. We are currently working on the maintenance requests to be completed in a timely manner. We have been working with you to correct these issue & would like to keep in contact regarding any other issues that may come up. Feel free to contact us at 979-268-4780 if there are any other issues we have not already addressed. We appreciate your review Carlen. We hate to hear you have had problems contacting the office. We are open Monday - Friday from 10 am to 6 pm, Saturday from 10 am to 5 pm & Sunday 1 pm to 4 pm. If for any reason you are unable to come into the office or call 979-268-4780 during office hours you can always email us at warehouseandfactory@achliving.com. We have an answering service for after hours as well to where you can leave a message with a live person so that we get a notification immediately to contact you. We are here to assist you regardless of the time so please use one of the following ways to contact us so we may discuss anything you need addressed. We appreciate your review Phillip. 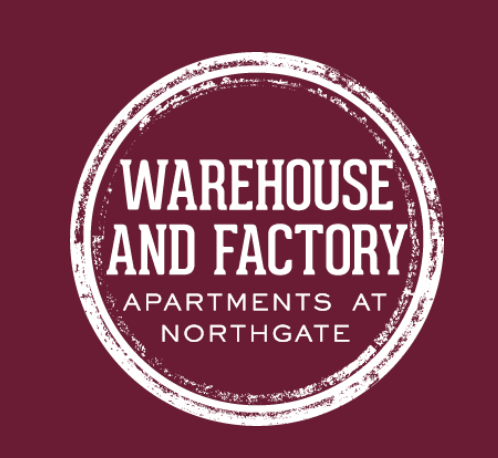 We love that you like living here at Warehouse & Factory. We will continue to make your stay with us a pleasant experience. I love the apartments. They are very cute and a very good size. The only problem I have found is the management. Hopefully the new company that we just got will continue to improve things, but we are three months into our lease and still don’t have the TV we were supposed to have at move in. Other small things like that add up to be annoying, but overall the style of the apartment is worth it. Thank you Abigail for the review. We love to get feed back on how we can improve your stay here at Warehouse & Factory. We would like to discuss anything you have concerns about regarding your apartment home. Please feel free to stop by the office or give us a call at 979-268-4780 so that we may resolve them as soon as possible. The location is good, the apartments are mostly in good condition. Some of the appliances could use updates. New management and maintenance are nice and efficient. Great location and managment! Everyone I have met has been really nice and they care about the residents. I love the brick walls and concrete floors in my apartment, and they did a great job at roommate matching! I lived at the London apartments and while they aren’t terrible, I definitely didn’t want to live their a second year. They have older heating and air so they cost A LOT more than you are quoted when signing and their is a lot of maintenance that needs to be done. The apartments look very nice but have a lot of issues when looked at closely. My bedroom door didn’t match up with the lock so it would never shut properly, our fire alarm system went off every few days for several weeks become they fixed it, and we were told a lock would be installed on our front door but it never was so if it wasn’t dead bolted it would just swing open. The community is kept fairly clean but in between trash pick ups can become very dirty. The staff was incredibly helpful when they could be and maintenance would fix things as best as they could but I would not be running to live there again. Karsyn, We are sorry to hear that you didn't enjoy your living experience last year! We are so happy you chose to live here at Warehouse and Factory with us this upcoming year, and hope to make an amazing first impression. Should anything ever go wrong, please feel free to reach out to me personally at bevery.lemaire@assetliving.com, and i'd be happy in any way I can! Thanks for the review Axel. We are currently working on parking to ensure all residents have a designated spot along with an idea for visitor parking. If you have any insight on an idea we would love to hear about it. We value your ideas to enhance your living with us. Please feel free to contact us at 979-268-4780 to discuss further. Great amenities and quick and helpful maintenance response. Good location, too. I would recommend, especially if you have a roommate to split the rent with. Great advice Maria! Thanks for the review. The Location is my favorite thing about this apartment because I am able to walk to campus. I wish we had guest parking because my friends have gotten multiple tickets from trying to park and visit over here. It's great to hear you love living here at Warehouse & Factory. We appreciate your review & will look into the parking situation to see what we can do to make it a more pleasant experience. We would love it if you could contact us at 979-268-4780 or come by the office. Your insight to improvements on the property would be a great asset to us. Thank you for the review Iman. At this current time we do not have the DNA testing but it's a great idea I will definitely so if it's possible. We are currently addressing the pet situations with bathroom locations & clean up. We hope to have this issue addressed as soon as possible & thank you for the suggestion. We really value your suggestions.